This article from the Portland Press Herald caught my attention for a number of reasons. First and foremost, the fact that throughout the piece the reporter constructs scenarios to scare readers into believing all sorts of untrue things about the AHCA. An in depth review of some of the claims in the first part of the article proves most of what is presented is demonstrably false, or at least arguable. The reporter even ignores liberal sources he cites in some scenarios, then speculates on far-flung scenarios for others. 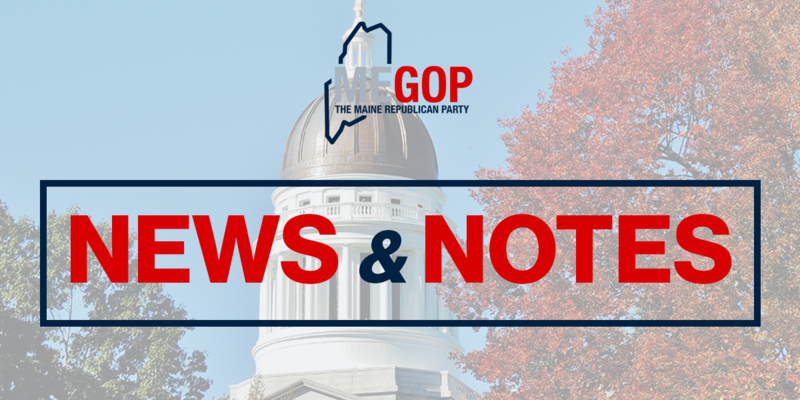 Truth: Coverage for children under 19 is explicitly exempted from the waiver, suggestion that people with disabilities or low-income seniors would be harmed is baseless. If Medicaid were cut 6% as is suggested later in the article, it is almost certain the cut would be to able-bodied childless adults. Truth: Part of the Medicaid reforms in the AHCA allow states to create a work requirement for families to retain Medicaid coverage so long as work requirements are met for able-bodied adults. Children under 19 are exempted from this requirement, but additionally, both parents work – meeting the work requirement. While the reporter uses this paragraph for one purpose, to suggest this family can’t afford insurance, what it does is demonstrate that they meet Medicaid work requirements if Maine chose to implement them, thus contradicting the concern he presents. See page 7 here. Truth: Page 3 here from Kaiser admits that “Prohibition on lifetime and annual dollar limits is not changed”, Kaiser then goes on to claim that because the prohibition applies to essential health benefits, a state might try and change them through a waiver. The reporters injection of such a sensationalistic commentary here is barely acceptable from a left-wing blog, not a serious media outlet. In fact, both the AHCA and AHC prohibit lifetime limits. Truth: This is a heartbreaking story from this family. However, note that they qualified for Medicaid without Maine participating in Medicaid expansion. The bulk majority of cuts under the AHCA relate to bringing other states, not Maine, back in line with federal poverty levels. The line about subsidized insurance through the ACA appears to be the reporters attempt to draw some connection to the ACA for this family. The facts, show, however, that they were covered under Medicaid without the ACA expansion. Truth: The claim that the AHCA ‘weakens protections for patients with pre-existing conditions’ has been pretty thoroughly debunked. Although it was initially thought that media coverage was biased by misleading claims from liberal politicians, this reporter continues making the claim even after a number of liberal media outlets have debunked it. See Kaiser statement that AHCA ‘requires guaranteed issue of all non-group health plans during annual open enrollment’ and ‘Prohibition on pre-existing condition exclusion periods is not changed.’ It appears the reporter is again constructing fictional scenarios to imagine a way this family might be penalized, but there is no evidence of that. Various entities, from FactCheck.org to the Washington Post have found variations of this claim to be untrue. Truth: This is one of the more misplaced comments in this article. The reporter suggests that a mandatory part of a state waiver would be higher premiums for people with pre-existing conditions when in fact, a large part of the waiver strategy and language focuses on states keeping premiums for people with pre-existing conditions low through high-risk pools for people with pre-existing conditions. The reporter intends to suggest the AHCA makes mandatory something it actually intends to prevent. Truth: This is the reporter literally reciting a DNC talking point to toe the Democrat Party line.. The AHCA repeals an array of taxes, most notably the individual mandate, which hits mostly people unable to afford health insurance, as well as taxes on medical devices, medicines, health savings accounts, indoor tanning, and taxes on people with high-quality health plans. The reporter also completely fails to acknowledge that the ACA instituted no fewer than a dozen taxes deemed by Politifact to be ‘middle-class tax hikes.’ The truth here is the ACA raised taxes on everyone and the AHCA reduces taxes on those same people. Truth: CBO did not say this. It said most of those 24 million people would be individuals who would choose not to purchase insurance because they were no longer forced to purchase under the law. It also added in projections of future recipients out nearly a decade, who might not qualify under new standards – for the reporter to repeat the 24 million would ‘lose coverage’ claim as if individuals today would lose their plans is not true. Further, the way the reporter uses the term ‘stripped of health coverage’ earlier in the same sentence is misleading. Their earnings are below FPL, therefore they qualify for Medicaid even in states that have not expanded Medicaid under Obamacare. Families of three under 133% of FPL are still covered under the AHCA. FPL for a family of three is $20,420. 133% of FPL is $27,158. MaineCare eligibility guidelines according to Maine DHHS Office of Family Independence for a family of 3 is monthly income of $2,767 which equals $33,204. Bottom line is there is no way this family would not qualify for benefits under AHCA and Maine’s guidelines. Their son has a pre-existing condition that he is covered for under Medicaid, but also would be covered under the AHCA’s guaranteed issue and pre-existing conditions language. The parents already are in compliance with work requirements for Medicaid. The son is exempted from Medicaid work requirements. While the reporter attempts to construct ways he can suggest this family might be hurt by the AHCA, his writing is full of ‘could’s’ and ‘if’s’ and lacking in any tangible proof of his suggestions. Not only has the reporter failed at constructing a real-world scenario where this family would be hurt by the AHCA, he has even failed to construct a convincing fictional scenario where they would be hurt.